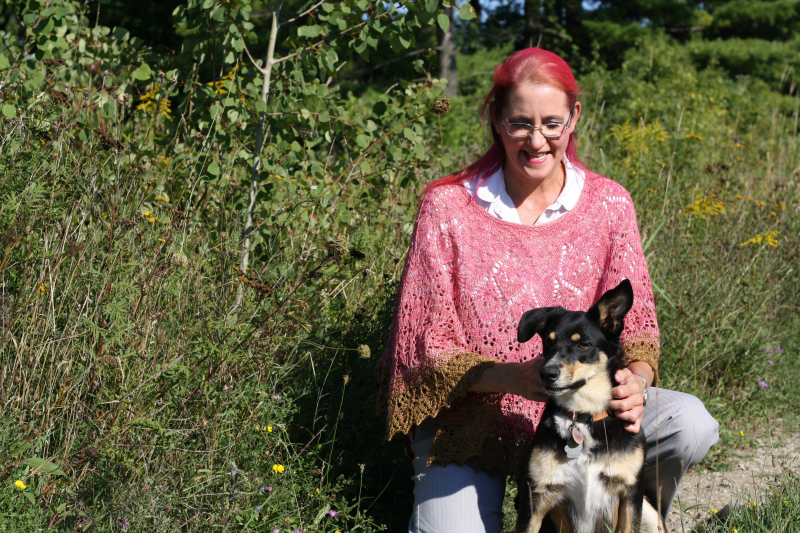 Today we’re learning more about Mindy Dykman from Raven Knits. Find her patterns on Ravelry. See her photos on Instagram. The thing that excites me most about the GAL is the community of designers coming together. We work in such an isolated way, most of us, with little contact between designers and little knowledge of what others might be working on. The GAL has become my way of seeing what others have been up to in the past year, either design wise or in their personal lives. It’s like an annual class reunion, except full of the people I really want to see. My favourite part is trolling the participating designers thread. Sure, the bundles are super convenient for matching yarn you own to patterns of things you specifically want. …but going through the 300+ designer list post by post, admiring the photography, and clicking thr0ugh to their patterns page is how I find amazing things that I’m not looking to cast on for this GAL, but would totally miss if I only searched in the bundles. It’s how last year I found an amazing blanket pattern by Faye Kennington (Modern Puzzle Blanket) that I would never have even considered during a GAL, but wound up making over the summer for my college aged son. Faye is a participating designer again this year; hers is one of the many faces I delight in seeing again. I’ve always been a very tactile person. My mother talks about taking me shopping and me “patting” all the things in the shop, taking in the different textures. I still love best to start with the yarn. Beautiful skeins whisper ideas to me; sturdy wool wanting to be mittens, or delicate silks longing for lace. Walking into my stash is like opening the door to dear friends full of possibilities. The most rewarding part of the process is when an idea actually comes to fruition. Sometimes that idea is easy, and the pattern just falls off the needles; sometimes the idea is elusive and I work and work and work before we understand each other. Binding off, blocking, seaming, and seeing how what was once only a thing in my head is now a thing in the world; that’s the best part. The world inspires me. …that’s a very trite answer, isn’t it? But really, my best inspirations come when I’m out walking with my dog. I’m always taking pictures of things that poke my imagination; the branches of trees and how pine cones grow differently on different species, the aerial movements and how the feathers lie on the wings of birds, the small creatures weaving homes and trails through thick growing marsh reeds. The little natural details that so often get overlooked if we always speed through the countryside in a car. I’m a full time designer who keeps part time hours. Or, well, I know many people assume I spend my entire day knitting, and that’s really not true. I block out my time so that I can knit at least three to six hours on knitting days, but I also need time for social media, for communication with customers, and for actually writing patterns. …honestly, that last bit is the most time consuming part. 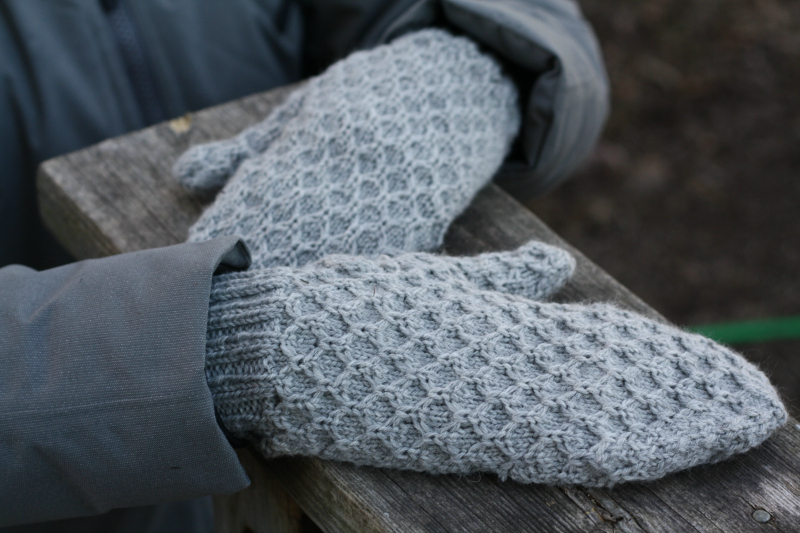 I work four days a week, and try to keep my evenings and weekends for personal knitting and for time with my family. I think it does, absolutely. Considering I draw so much inspiration from nature around me, I think I would be a very different designer if I lived in the far north, or in another climate altogether. I design with the same philosophy as some writers; write (or make) what you know. The place I am authentically informs my ideas. I’d feel a bit, well, false, if I were trying to design as though I lived somewhere else. Once upon a time, I imagined I would design garments for little boys. Mostly because for many years it was sweaters for my sons that I knitted primarily. …but now my favourite thing to design is a shawl. I love the interplay of textures and lace. I love taking a stitch motif and seeing how far I can bend it; how many different shapes can be made from the same general idea. Shawl knitting allows so much personal variation. Shawls are fluid; there’s no shaping, gauge is a suggestion rather than a rule, and no two people will interpret the same shawl pattern in quite the same way. That delights me no end. I love giving knitted things. Mostly I like giving blankets; I gave an afghan to both my maternal cousins for their weddings, and I have one I need to seam up and send to my nephew and his new wife. I also gave one to my youngest son to take away to college with him, and I have one planned for my eldest son who is graduating from his program this spring. Oddly, I’ve never designed a full sized blanket. Maybe that’s something to consider for the future. Send me socks! For some reason, I never quite got bitten by the sock bug. I’ve made three pairs in the past 30 years, and they’re never the thing I want to cast on next. But I do love wearing the socks that knitting friends have given to me. Oh golly. My favourite yarn tends to be whatever I’m working with at the moment. …but if you’re interested in checking out some local-to-me indie dyers, take a look at Deborah of Yarn Indulgences, or Shireen of the Blue Brick. I could bury myself in their yarns very happily. Honestly, the biggest surprise for me was that people actually like my work. That sounds a lot like false modesty, but I think it’s a reflection of how personal and private designing can be. I’m here in my little space, working on dreams from my own head, and I throw them out into the world hoping they’ll be loved by someone else. …and they are.